OleoTherapy Deep Recovery Mask is a sensorial restorative treatment formulated with a 6 flower oil blend. This new nourishing balm revives lifeless locks and restores hairs natural radiance. Leaves hair nourished and smoother. Directions: After using OleoTherapy Oil infused shampoo, apply focusing on lengths and ends. Leave on for 3-5 minutes. Rinse thoroughly. Use weekly or as needed for dull, damaged hair. I use it with a different brand of shampoo unlike what it states but I try to leave it in for at least 3 mins as directed. I use this more than once a week and would substitute it for conditioner that day when I do decide to use it. Personally I feel like it does somewhat revive the lifelessness in my hair. When I don’t use it, it feels drier and less manageable. 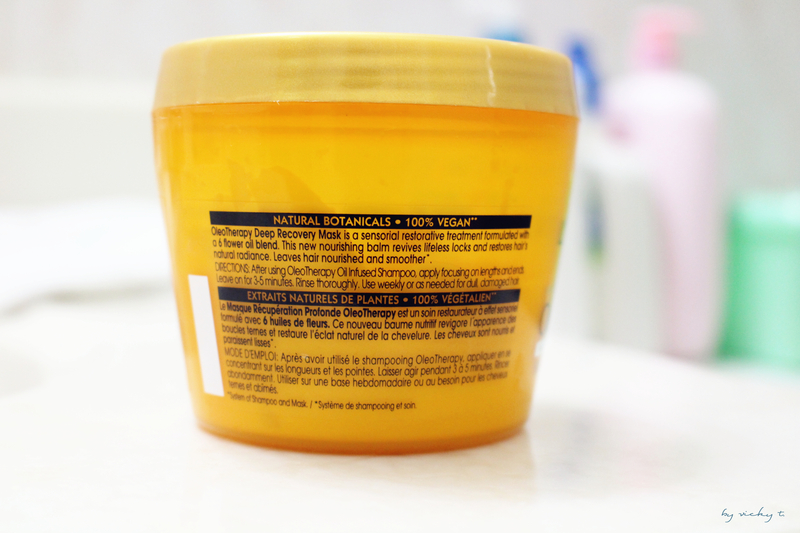 A plus is that it’s also sulfate free! 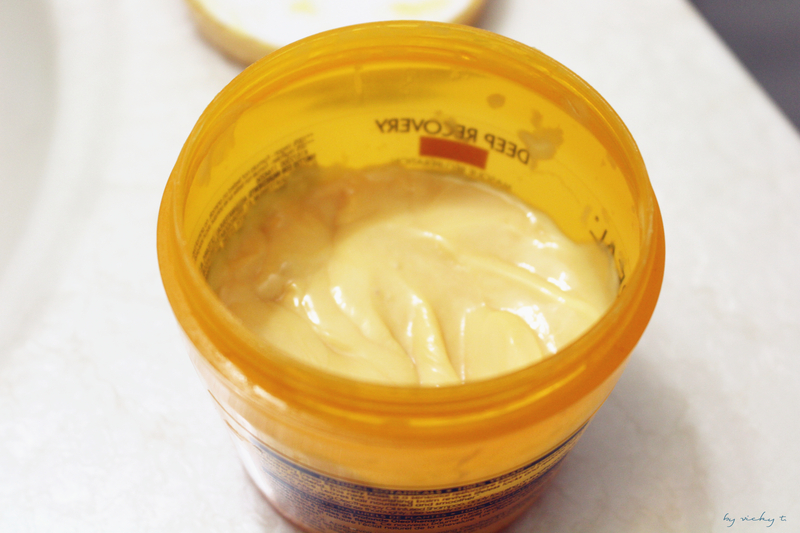 As you can see in the picture, it’s a cream like formula and very similar to other hair products. These hair mask are usually in a container and you would have to scoop out the content; it’s not very convenient in the shower and I tend to get a bit of water into the container. I also don’t like that this is a bright orange color; if I get a little too much product and it slips onto the tub, it gets a little messy. Other than these little pet peeves, the product itself is fantastic and does wonders for my hay stack of hair. 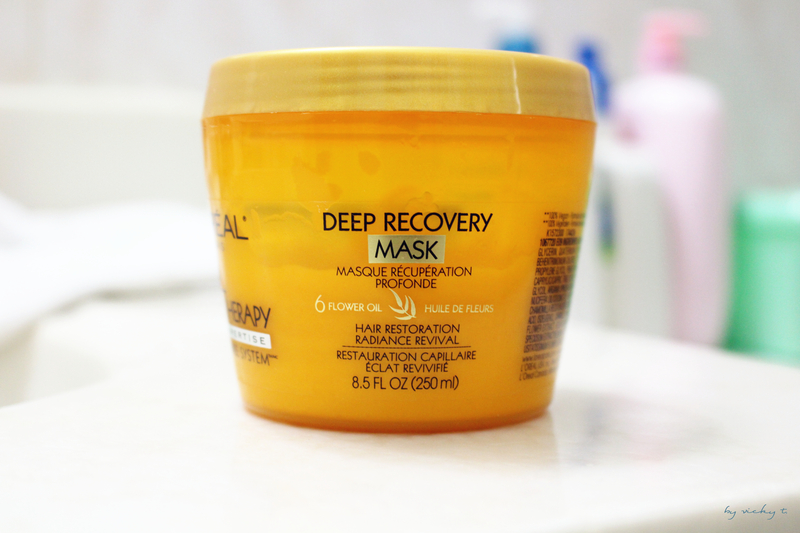 Trying to keep hair healthy-looking takes so much time but deep recovery masks usually does the trick for my hair. Which ones are your go to hair products? That’s amazing we’ve both done hair-related posts lol. I also chatted about my brittle ends, so I completely hear you on this one, girlie. This mask sounds really great! Thanks for sharing! I think L’oreal provides some really great drugstore alternatives. Pantene has a 3-tube serum that is also pretty good for repairing damaged hair. This mask sounds great!! I am using Pantene dear!! Love your post! !